Don't mess with the Kardashian sisters. Love them or hate them you can't deny that these girls have each others backs like no tomorrow. If you're after one of them, you get all of them because it's family first. I still can't get over the fact that Kylie's best friend, Jordyn Woods, deceived the family like that. She allegedly has been hooking up with Tristan Thompson, Khloe's baby daddy! Earlier in the day on Thursday, Kim went on twitter to defend Khloe against a tweet. She had to defend Khloe from a troll on Twitter. 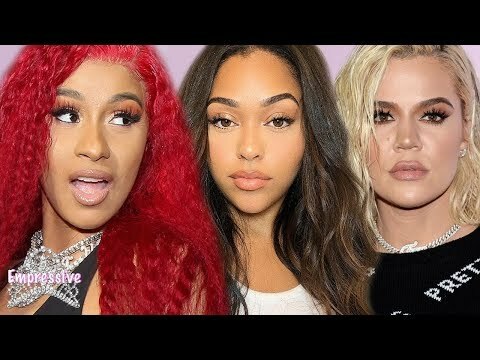 Cardi B Throws Shade, & Defends Khloe Kardashian? !